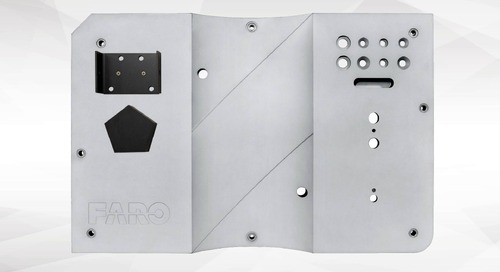 Accurately project a laser outline onto a surface or object providing a virtual template via 3D CAD models with our FARO Tracer Laser Projectors. 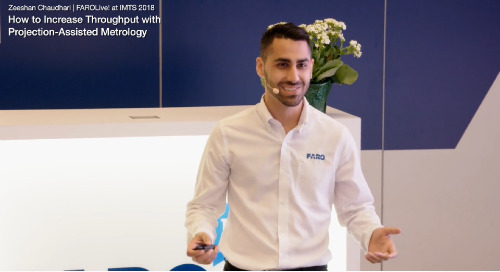 Dive into the new features of the latest release of FARO BuildIT Projector 2019 - the latest release of our modern and intuitive software used to generate and plan laser projection workflows. Learn why you should consider upgrading your RayTracer software to BuildIT Projector to achieve easier, better and faster laser projection setup and operator workflows. Watch this FAROLive! 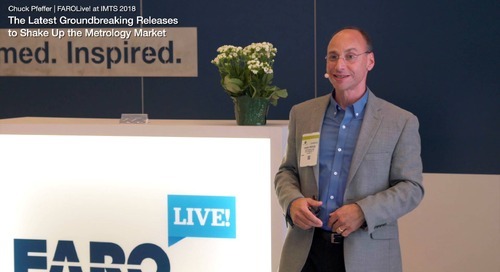 presentation from IMTS 2018 to learn how high-precision laser projection technology can be used to augment your metrology workflows, with real-world examples. 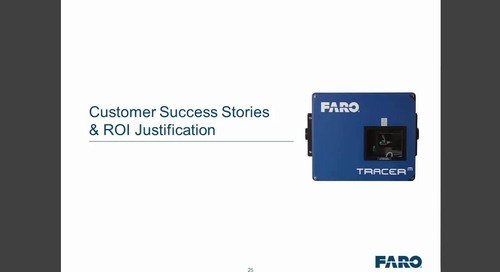 Watch this press conference as Chuck Pfeffer, Director of Product Management and Product Marketing, presents FARO's latest innovations at the 2018 International Manufacturing & Technology Show. 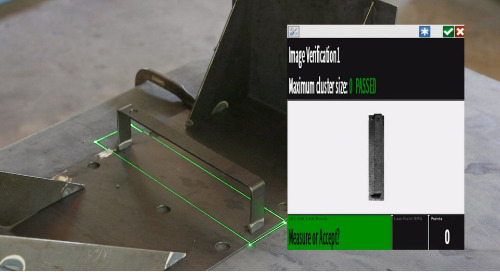 In-Process Verification (IPV) with the Tracer SI and BuildIT Projector will detect the presence/absence of features, evaluate placement and alignment and perform Foreign Object Debris detection. 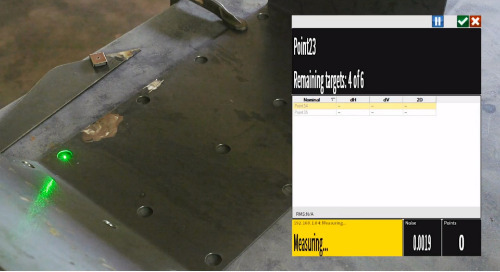 The Tracer SI Laser Projector with BuildIT Projector Software is the first to fully support Feature-Based Alignment, aligning directly to datums on your assembly with no additional setup. The Tracer Laser Projector series, coupled with BuildIT Projector, is a digital templating and tooling solution for guided assembly and alignment. 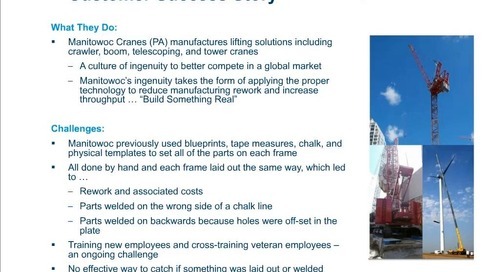 See how changing from older tools to laser templating using a FARO Tracer SI Imaging Laser Projector and BuildIT Projector Software helped Welder Bob increase his throughput. 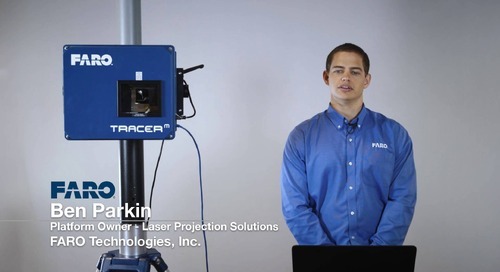 "We now do 100% inspection in-house & eliminated need for 3rd party services..."
Learn about the benefits, advantages and applications of laser templating using Laser Projector technology, including specifics on the FARO Tracer Laser Projector. 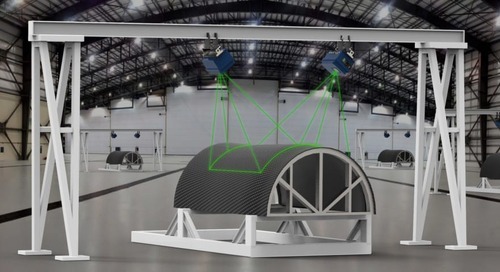 The Tracer M Laser Projector accurately projects a laser line onto a surface or object, providing a virtual template to quickly and accurately position components with absolute confidence. 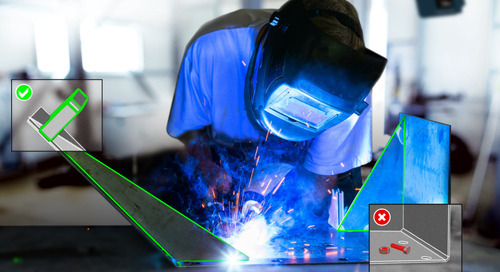 This whitepaper describes how virtual laser projection is helping assemblers to quickly position components, eliminate physical templates and provide a more streamlined process. 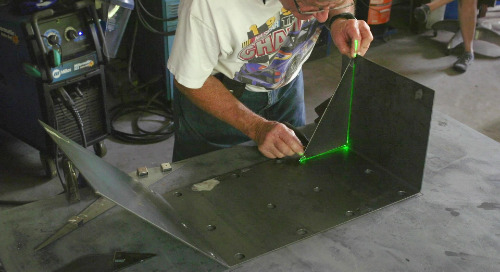 This whitepaper gives details on how laser projection is used in production and assembly, from eliminating or reducing physical templates to speeding up the inspection process and improving quality. Explore how the Tracer M Laser Projector can help sequence the ply layup process and position each ply in its exact location – the first time – improving cycle times and quality. 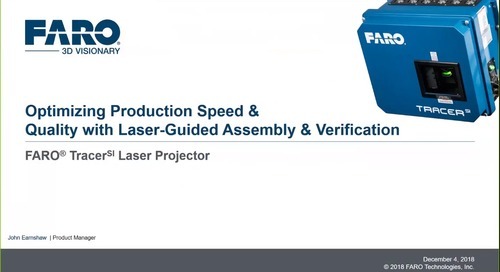 This webinar goes over the FARO Tracer M Laser Projector, which provides a virtual template for operator use to quickly and accurately position components. The Tracer M accurately projects a laser line onto a surface or object, providing a virtual template for operators and assemblers to quickly and accurately position components.